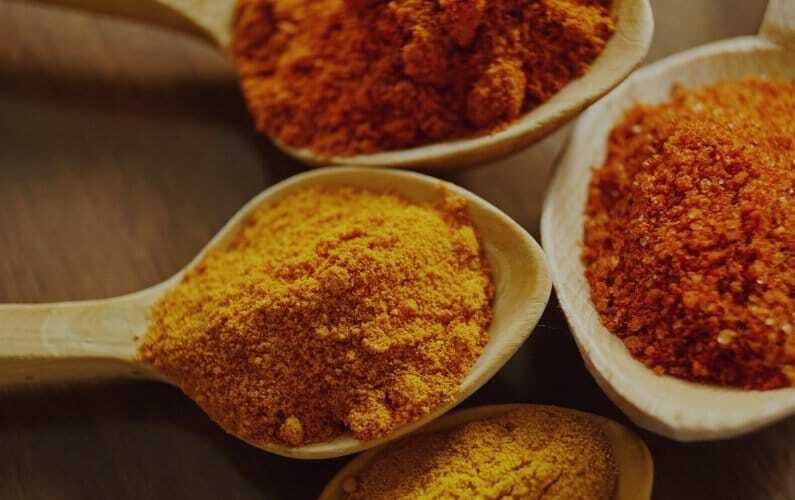 This homemade, keto smoky chipotle bbq dry rub is perfect for anyone on a keto or paleo diet. It’s great seasoning for meats of all kinds. I love to use it on the grill, for chipotle barbeque hot wings or any time I want a smoky bbq flavor without the sugar or additives. 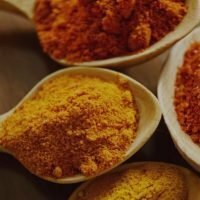 Why Avoid Traditional BBQ Seasoning? There is no shortage of barbeque flavored seasonings in any grocery store. You can even pick up barbeque seasoning at the dollar store. So, why go to the trouble to make my own? The store-bought seasonings often have sugar. The grocery store blends often come with unnecessary additives and preservatives. You will ultimately be more in control of the flavor of your food, using a home-made dry rub. This chipotle bbq dry rub is great for keto dieters because it contains no sugars, even the sneaky hidden ones. One of the common ingredients in BBQ flavor is brown sugar which is not an option in a low-carb diet. This chipotle bbq recipe mimics the flavors in bbq, without any sugars. Once I started on keto, I began checking the ingredients lists for hidden sugars. It seemed that almost every label I scanned had other “extra” ingredients that I didn’t even recognize. I was surprised at how many other non-food ingredients I found on the labels. It became my mission to eliminate all these additives and preservatives from our diet. I started with my own taco and ranch seasonings, and it grew from there. Now, I have a whole series of all-natural seasoning blends that I use daily in my home. If I keep them stocked in mason jars they are every bit as easy as the store bought blends, and just as tasty. I avoid all the packets and pre-mixed seasoning blends altogether. Ultimately, I love making my own blends because it gives me more control over my recipes. For example, if I know my kids are going to eat the food, I use a little less chipotle pepper. If it’s just me and my husband, I’ll add a little more chipotle pepper. If I used a store-bought blend, I would never have this kind of control over my recipe. Whenever I use the last of this dry-rub, I just go ahead and make more. I try to keep it stocked in a mason jar, in my spice cabinet. That way, it is super convenient when I start to cook. Like you, I don’t have all day to spend in the kitchen. With this blend already measured out and ready, I can cook in much less time. I typically use about a tablespoon of the chipotle bbq dry rub per pound of meat, but you the beauty of making your own blends is that you can tweak the recipe to your own tastes. 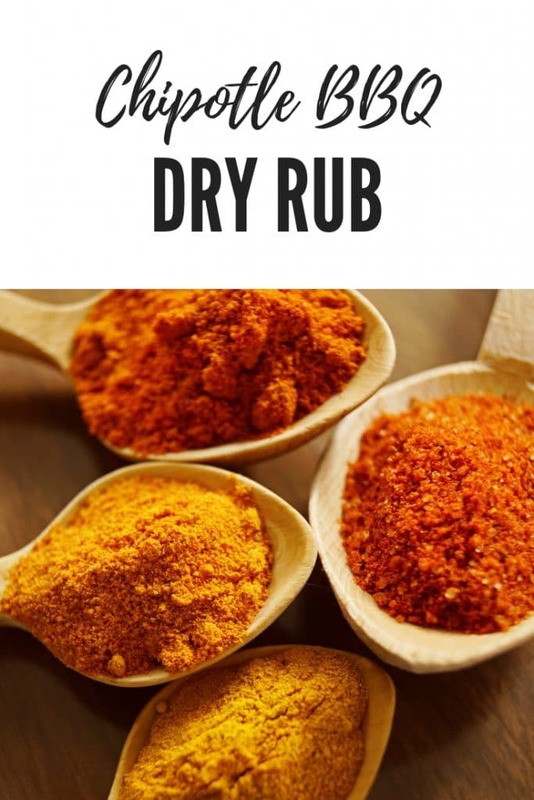 Add the dry rub recipe below to your favorite meat and feel free to change the recipe up to your tastes. Let me know in the comments below if you make an awesome new variation on this dry-rub. I’d love to hear about it. Be sure to try the chipotle bbq wings using this awesome homemade keto chipotle bbq dry rub! This dry rub adds the perfect smoky, spicy flavor. It's great for grilling meats and perfect on wings.